A whole lot nicer than bars… The trellis design is an upscaled version of my 1100 trellis design and can also be custom made to suit site-specific needs like security infill for open spaces. 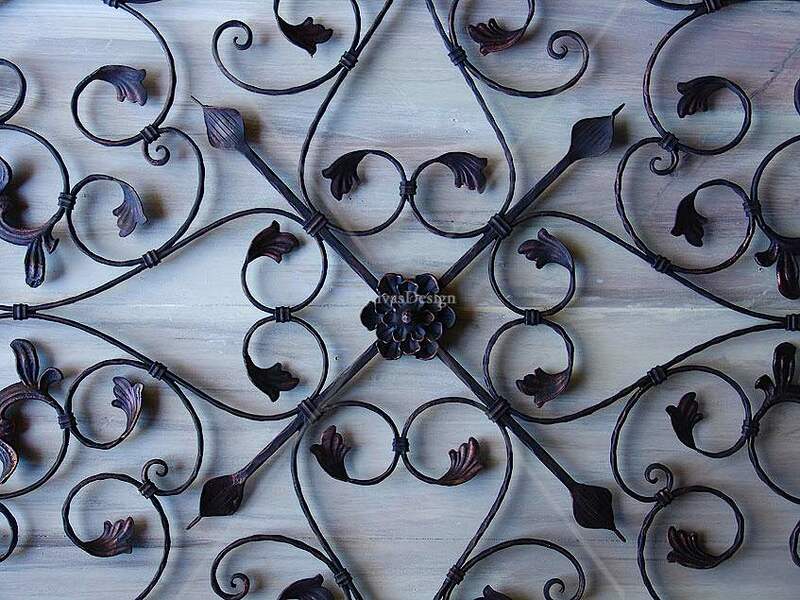 When you are looking for a real statement piece to use as a feature on a plain wall this is the trellis that will give you the double whammy 'wow' factor. 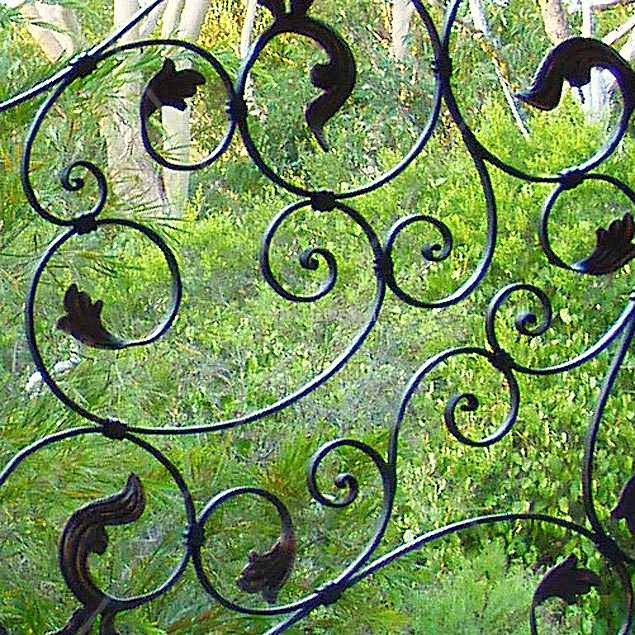 It combines more than 56 detailed leaf-tipped, wrought iron scrolls set around a central iron flower with clipped spears that pierce outwards from the center. Designed to sit just off the wall giving gorgeous shadow effects on the wall behind it. This is the largest trellis in our range. This statement style version of the 1100 trellis is a large 1200 x 1800mm piece. It sits 30mm off the wall casting gorgeous shadows behind it in sunlight spots. Want a different size? We can custom size this design to suit your individual needs. 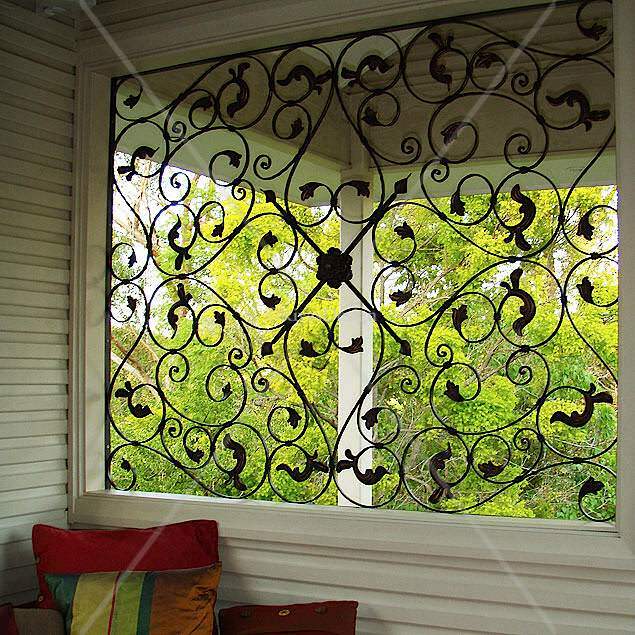 This trellis lends itself to custom made infill use as shown in this photo. 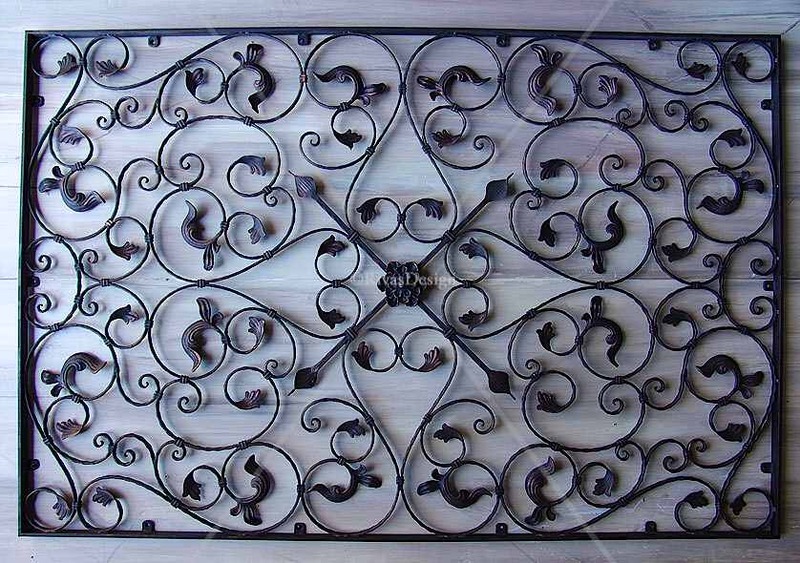 Available finished in black or black brushed with copper or custom painted for your project. 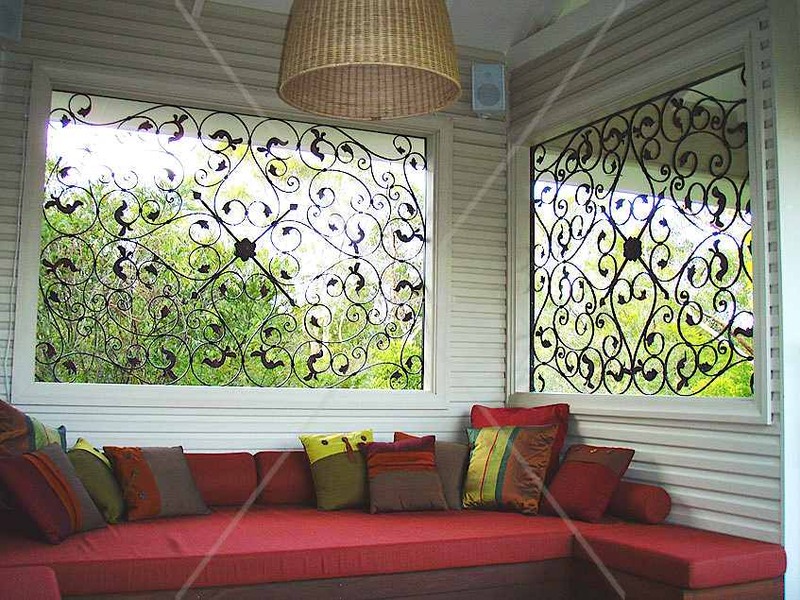 This trellis guarantees to create style on a grand scale for plain outdoor walls. 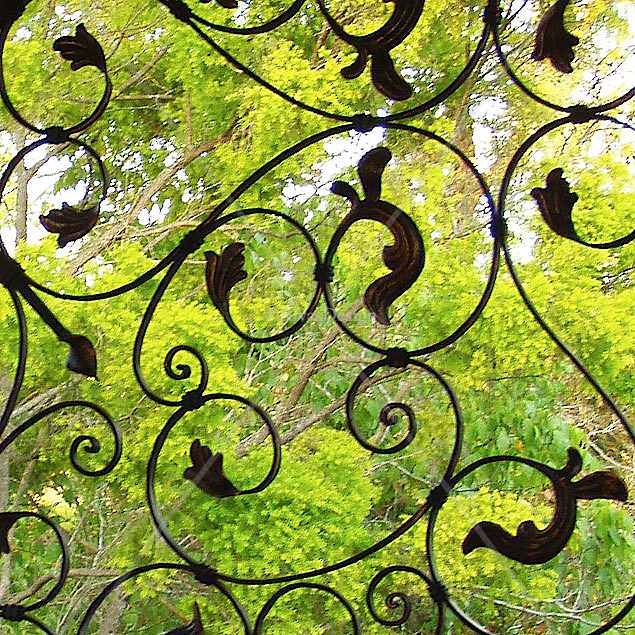 Made individually in solid wrought iron & hot dip galvanised for maximum weather protection.